Availability Call for size / price. 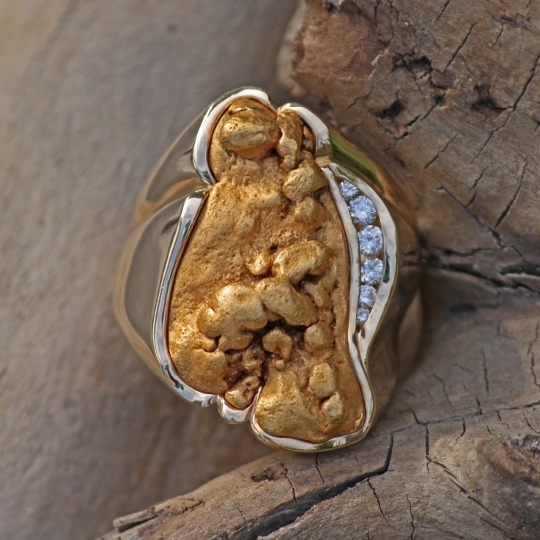 Stunning Alaskan Gold Nugget and 6 brilliant Diamond side stones beautifully styled in a 14kt Yellow Gold Ring. This ring has sold, but contact us today to design a similar ring just for you.